Educators, community leaders and students discuss the importance of student success and getting them to graduation and beyond. Featured stations include: DPTV, APT, VegasPBS, WHUT, and MPB. Educators, community leaders and students discuss the importance of student success and getting them to graduation and beyond. Featured stations include CET, PBS SoCal, Colorado Public Television, the Nine Network of Public Media and Louisiana Public Broadcasting. Educators, community leaders and students discuss the importance of student success and getting them to graduation and beyond. Featured stations include WXXI, KET and WHUT. As part of American Graduate Day 2014, the Corporation for Public Broadcasting and WNET New York Public Media launched “Stories of Champions,” a nationwide promotional campaign highlighting American Graduate Champions, community leaders who are keeping students on the path to graduation. American Graduate Champions range from everyday heroes to high-ranking officials, and each story serves as an inspirational example of what is possible when concerned citizens work to improve outcomes for our nation’s children. 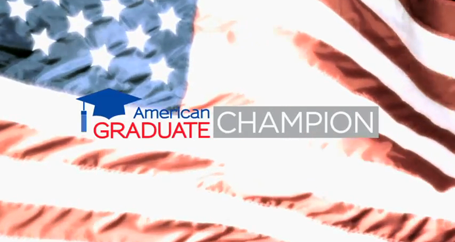 Public television stations across the country participated in the campaign by producing and broadcasting short videos recognizing local American Graduate Champions and their work. 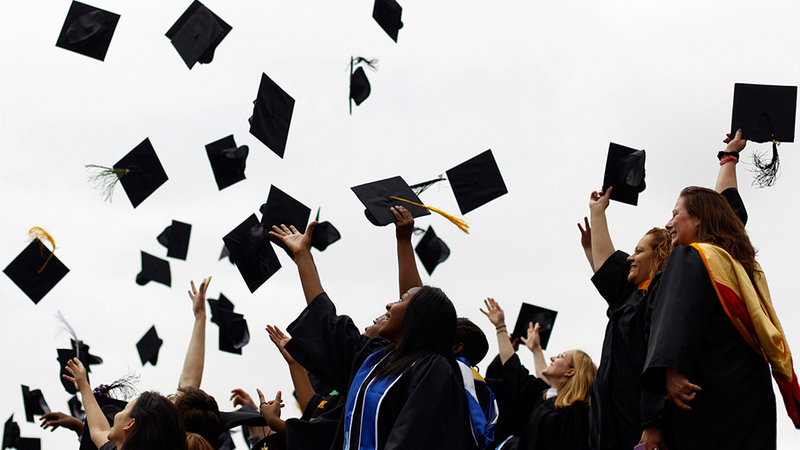 Fourteen locally-produced stories were included on the national broadcast of American Graduate Day on September 27th, 2014. The Cradle of Aviation Museum, led by Andrew Parton, has created and outlet and the “Magnet Academy” for kids in the surrounding communities to come to the museum to study STEAM on a daily basis. This program has influenced countless kids to study STEAM, sparking interests in science and technology that is influencing these kids to move forward into higher education in areas of science, technology, and math. They also provide an outlet for students to study STEM in the summer providing space camp, robotics, and science based competitions that continue to engage kids year round. Margaux and Rose have grown to be close collaborators in their efforts to advocate for school libraries and for the public library in their community, and, more recently, to take their advocacy to the national stage through conference presentations, free webinars for their colleagues, and continued professional development. They fight for students to have the access they need to succeed in high school and beyond, by keeping the library open late providing students with a space for research projects, and a space with laptops for a full class lessons and online databases. They continually advocate and fight for funding and resources, speaking out at school board meetings highlighting the link between certified school librarians and student achievement. S.T.R.O.N.G Youth Inc. led by Rahsmia Zatar are working closely with schools and youth in the corridor communities of Long Island, partnering with local schools to create art programs, peace rallies, seminars, and ”STRONG” talks on the dangers of gangs and negative lifestyles. They mentor kids and provide them with a positive outlet to express themselves, discover their talents and interests, keeping them on track for graduation and higher education. They also help prepare them for the work force, maintaining strong relationships with the kids who pass through the program as they move forward into adulthood. Robert O'Donnell teaches sixth-, seventh- and eighth-grade science at Christa McAuliffe School #28 in the Jersey City School District. His students get hands-on science experience as they work to transform an abandoned local reservoir into an urban oasis and environmental learning center, educating the wider community in the process. Through his commitment to increasing scientific literacy, Project Reservoir has become a nationally recognized program that has helped boost achievement at Christa McAuliffe School–PS 28, where about 75% of students are Hispanic and about 83% are considered economically disadvantaged. Isles Youth Institute (IYI) was created in 1995 to combat Trenton’s high dropout and low employment rates by better preparing at-risk youth (ages 16-24) for employment and higher education. The alternative high school is for students who have dropped out and others who have had challenges completing traditional high school. IYI offers academic and vocational training with a strong emphasis on leadership development and civic engagement. Students participate in afterschool activities and volunteer extensively in the community. Staff works with students to help them apply to college and find employment. Are you or someone you know interested in helping youth in your area make it to graduation? Recognize a Champion today! Copyright © 2014. WNET New York Public Media. American Graduate is made possible by the Corporation for Public Broadcasting.